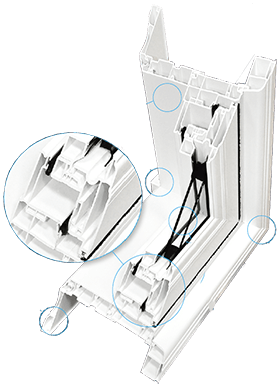 The single slider window is our most practical and affordable window. It combines sophisticated style with ENERGY STAR status for a versatile addition to any home. When used with our Low-E glass insulated with krypton gas, it reaches an energy rating of 38. One sash of these horizontal sliding windows opens smoothly thanks to our Insta-Lok shoe, while the other remains fixed. The inward opening of the sliding pane makes cleaning a breeze.